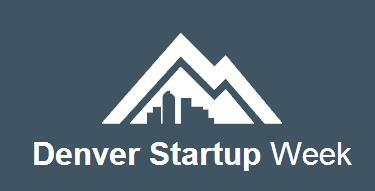 Here at PaySimple, we’re gearing up for the third year of Denver Startup Week. We love learning from our peers and tech experts, getting inspired by the newest innovations, swapping stories with the community and sampling a Colorado craft beer, or two. The entrepreneurial spirit continues to gain traction in our corner of the world and we’re thrilled to be a part of it. We’ll be sponsoring events at our office and attending sessions around town. Don’t forget to stop by and say hello! You can check out all of the tracks here. Can’t make it to Denver? Don’t worry! There are plenty of great events celebrating startups. Here are a few of our favorite options for fall. Startup weekend is a 54-hour event held in cities throughout the world for entrepreneurial enthusiasts of all skill sets. Attendees can build or join teams, gain hands on experience, interface with thought leaders and become a member of the 45,000 person alumni group. There are events in 15 US cities within the next two weekends alone. Home of SXSW, Austin has become accustomed to innovation overflowing from its city limits. With over 40 free events open to the public, there promises to be plenty of opportunities to learn about a new topic or meet a new friend. Considering moving to Austin? You could be one of the lucky people that Austin Startup Week flys out for the event. Going on now! If you’re not reading this from the event, then mark your calendar for next year! The annual event starts with Hackathon weekend, bringing together hackers and developers to create new products in 24-hours. Disrupt kicks off with a packed agenda of industry leaders in the ever-growing tech space.